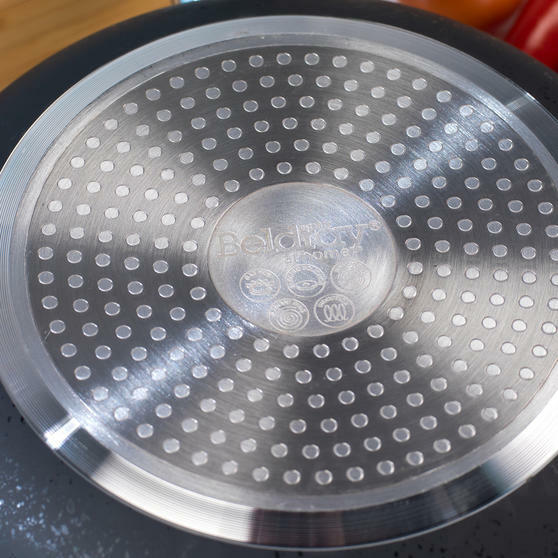 Made from durable aluminium these brilliant Beldray pans are ideal as a starter set or for refreshing old cookware. 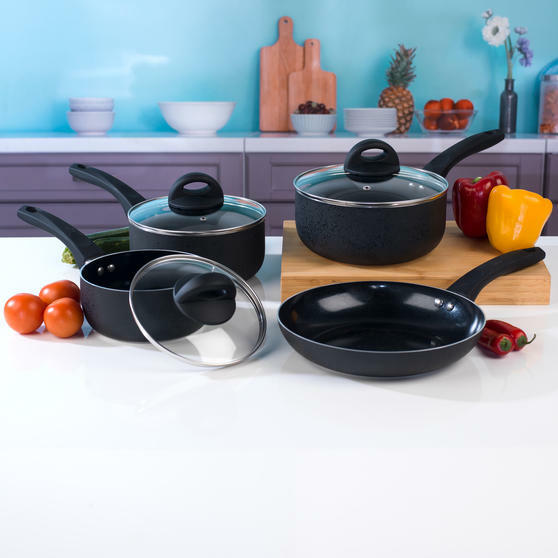 Consisting of 16, 18 and 20 cm saucepans and a 24 cm frying pan each with a superb non-stick ceramic coating for easy cleaning. 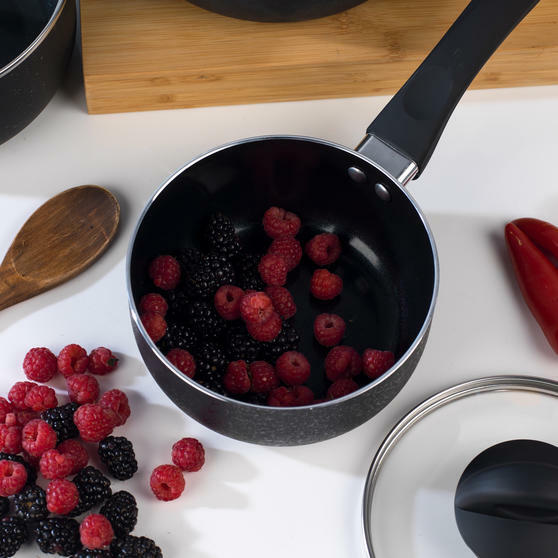 The pans are suitable for use on all hob types including induction, combining practicality and style with soft-touch handles and a sleek black exterior. 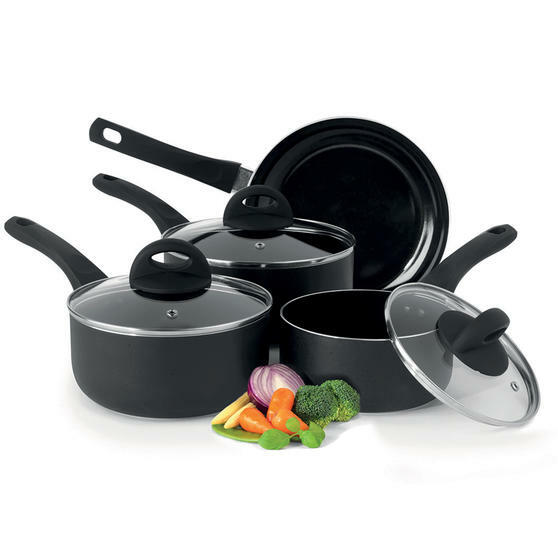 Ideal for cooking a variety of ingredients simultaneously, this set is a great addition to any kitchen. 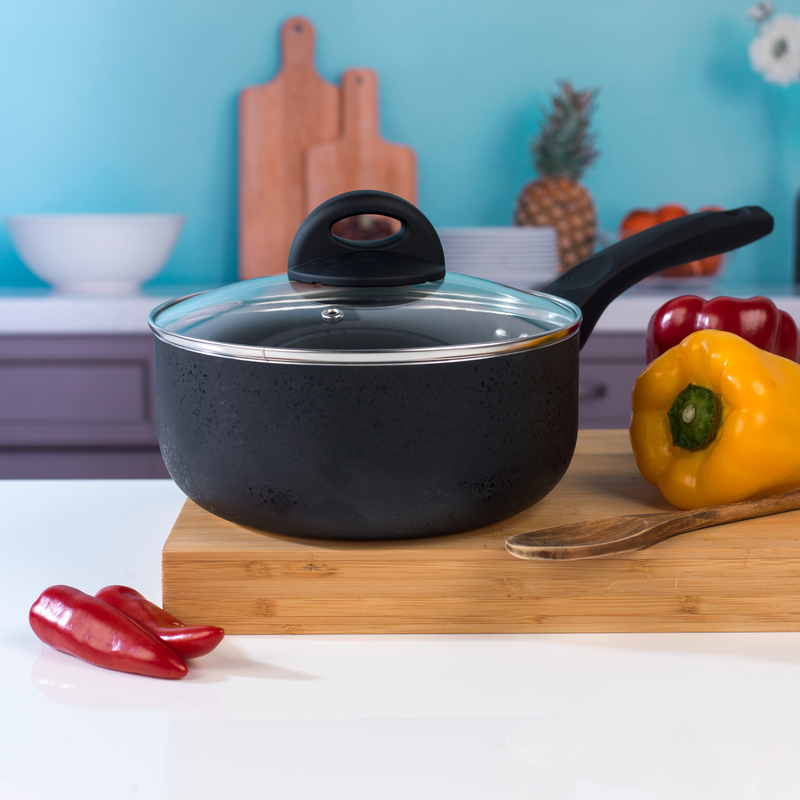 Perfect for any home cook, this wonderful Beldray pan set has a ceramic coating allowing your food to brown without sticking. 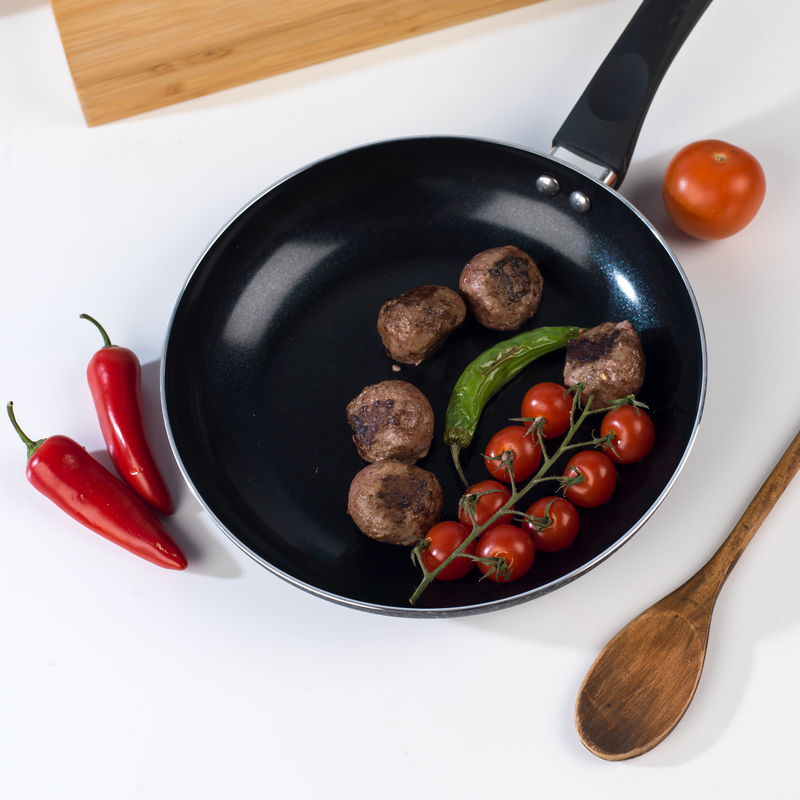 The frying pan measures 24 cm and the non-stick coating allows you to fry with little or no oil for delicious healthier meals. 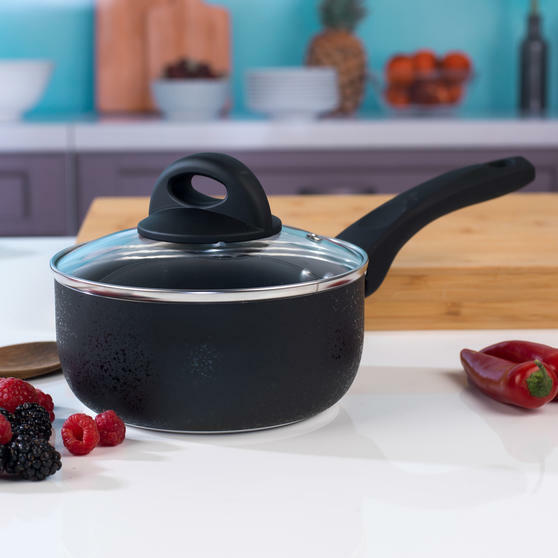 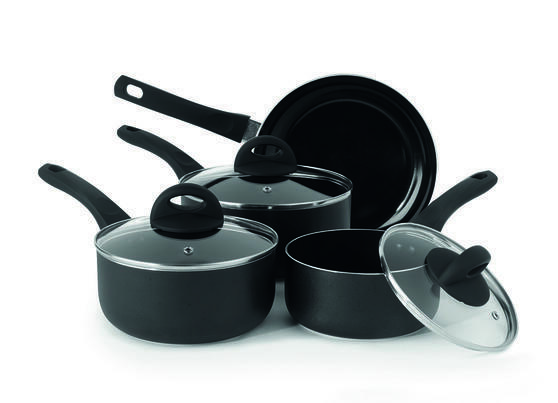 The pans all have a black exterior for a sleek and stylish look and the saucepans come with fitted glass lids with steam vents.